Navigate, track, and explore with Gaia GPS. 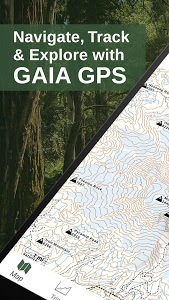 Millions of people worldwide use Gaia GPS maps to backpack, hike, hunt, camp, ski, and explore the backroads. Gaia GPS has been featured in countless publications, including Outside, Backpacker, Trail Runner, and the New York Times. 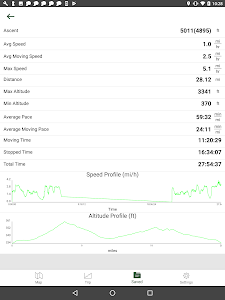 Gaia GPS is first and foremost a backpacking app. 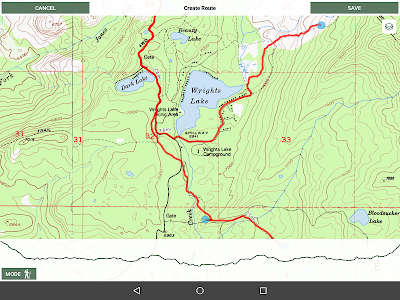 View your route using comprehensive topo maps and backpacking map layers, plus up-to-date weather forecast overlays. Then, use the intelligent routing tools to plan trips, mark campsites and points of interest, and measure distance, altitude, and elevation change. 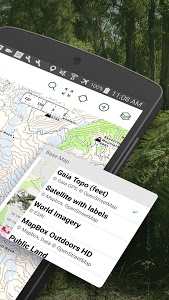 Both a hiking navigation app and a platform for finding hikes, Gaia GPS helps you discover your next adventure. 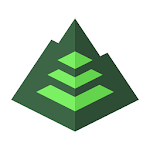 You can also create your own tracks, leave reviews, and contribute to the community-sourced hike database. 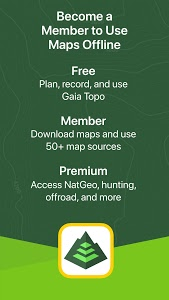 Gaia GPS is the most comprehensive hunting app on the market. Build custom hunting maps by cross-referencing game management units with public and private land parcels. Then, get deep into the wilderness to find solitude, even on opening day, with the Roadless and Roadless/Trailless overlays. A camping app with weather forecasts, public land data, and community-sourced camping beta, Gaia GPS helps you find a campsite anywhere. 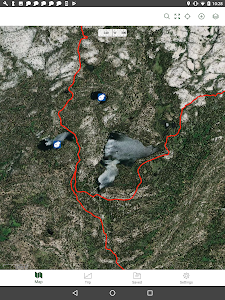 View dispersed camping areas on the Public Land overlay, and leave waypoints to create custom camping maps. Reference road maps and MVUMs to plot overland, 4x4, or off-roading routes. Apply slope-angle shading and 24-, 48-,and 72-hour Snowfall and Precipitation Forecast overlays to create custom backcountry skiing maps, plan tours, and avoid avalanche terrain. 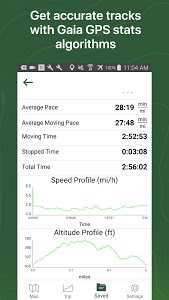 Gaia GPS is the best skiing app for staying safe deep in the backcountry. Go farther, faster by mounting Gaia GPS to your handlebars for hands-free navigation. Access mountain biking trail maps on both public and private land with the best mountain biking app on the market. 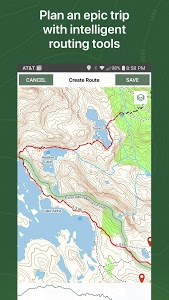 Gaia GPS is the preferred nav app for outdoor professionals. 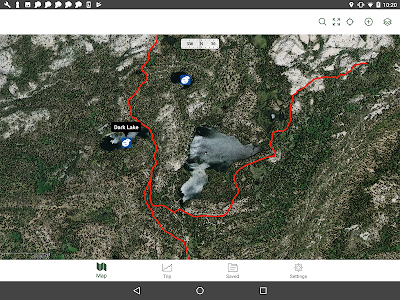 Quickly route to GPS coordinates, view recent wildfires, and share maps, tracks, and waypoints with your team to get boots on the ground faster. Guides can mark routes, campsites, and water sources, and share hard-to-find approaches and descents with clients and fellow guides. Free Level - You'll be limited to the default map source, and you won't be able to download maps for offline use. • Subscriptions automatically renew unless auto-renew is turned off at least 24 hours before the end of the current period. Your Google Play account will be charged for renewal within 24 hours of the end of the current period, and identify the cost of the renewal. • Your Google Play Account will be charged at confirmation of purchase. Major release! Check out the Discover tab, and find new places to hike. * see nearby hikes, view pictures, stats, descriptions, and alternate routes. Also fixes an issue with track recording service being downgraded to a background service on Android 9, causing inaccurate track lines. Similar to "Gaia GPS: Hiking, Hunting Maps"